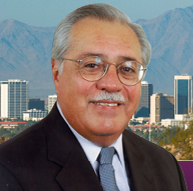 Arizona Congressman Ed Pastor has signed on as the 21st cosponsor of House Resolution 428, which urges the president to declassify the 28-page finding on foreign government support of the 9/11 hijackers. Pastor represents Arizona’s 7th district, which includes much of Phoenix and Glendale. His cosponsorship, however, will be short-lived: He is retiring next month. In the early months of HRes 428’s life, the cosponsor list had a fairly significant GOP leaning. From September through November, however, the addition of several Democrats brought it to a perfect red/blue equilibrium. With the addition of Democrat Pastor, there are now 11 Democrats and 10 Republicans. Given the unassailable objective of HRes 428—to give the American people access to information they full deserve to have—it’s encouraging that members of both parties are demonstrating real cooperation on this issue. If there’s one thing we should all agree on, it’s transparency—and a government and citizenry that’s able to reach conclusions on foreign policy that reflect highly relevant information like that found in the 28 pages. We’re making nice progress, but we’ve got more work to do. If your representative isn’t on the cosponsor list yet, do your part by giving them a call or sending them one of our ready-to-print letters. Please do it today, while it’s on your mind. It only takes a few minutes to make your voice heard. Take action today.